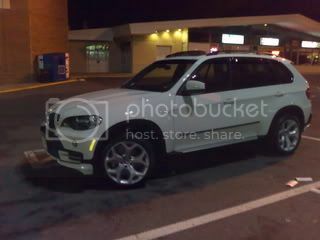 I think this is a good solution for those of us with pre-facelift X5's. We'll be able to utilize our (non-error message throwing) factory HID low beam ballasts, and have an updated looking headlight unit with LED powered halos. Group Buy price for the UHP LED X5 headlights with remote-on relay wiring and auto-leveling included, not including the xenon HID bulbs, ballasts or chrome amber corner marker bulbs. $480.00 shipped within US 48 states, shipped from California, CA sales tax included for people within USA. No PO Box, APO, FPO, basically must be an UPS deliverable address. To Canada or to Hawaii / Alaska / PO Box address, will need to inquire. And we accept paypal only and can only ship to paypal confirm address." I orderered mine already, payed full price but if we're able to get up to 10, seller will issue a rebate. I will install and take lots of pictures along with a detailed and honest review! I've been looking for a solution like this since I bought my X5, I tried other overprices solutions with aftermarket ballasts and kept getting error messages, so here' is a setup that will utilize stock components for the most part. Start a count if you're interested!! hopefully we can work out this group buy. 2007 HONDA RIDGLINE = D.D. All we need is 10, once I install and test, I'll post the results and we'll begin the count! Many here can detest for the quality of DEPO, and the option to use stock ballasts/bulbs is great (hopefully no error messages), plus the 60 LED doesn't hurt. 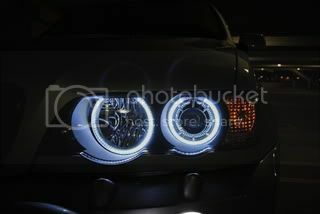 i am definately set on trying out these headlights. I have been with weird-working lowbeams for just about a year now and this would solve it by allowing me to use the oem d2s system, and i really want to try out the new LED technology. i asked the seller before i found out about this GB if he could do anything with the asking price , he replyed saying if i purchased the headlights off of ebay & paid with paypal he would take off $50.00. but the GB @ $480.00 is alot better !! 8 more to go! 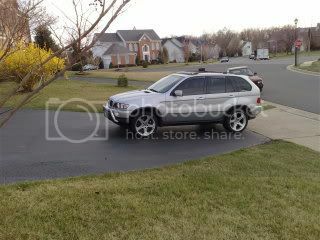 let me get pictures after install, with a review, and I think we can get more members on board. So I went ahead and ordered the headlights. Fishcake on eBay directed me to a guy named Simon and he gave me an awesome deal, after I told him RPX5 referred me and that I am forum member. Thanks for the find RPX5!! Does the AI come in oem amber? Please count me in. Actually, I was notified by Simon of Fishcake about the availability but the price is too high. Hopefully we can get that price, it's really cheaper with group buys. Please give me update if done with the counting. Thanks! Are these headlights modified by the seller or are the halos factory installed by DEPO?